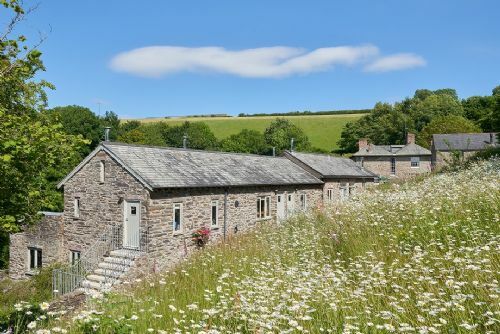 Meavy Barn is one of eight stylish and luxurious character cottages within the exclusive Gitcombe Country Cottages Estate near Dartmouth. Recently listed in The Times' 50 Best Cottages for Summer feature, Gitcombe's cottages each boast tasteful Scandinavian Country-chic influenced interiors and luxurious touches granite topped kitchens plus a scenic and tranquil setting nestling in their own private valley in the heart of Devon's sought-after South Hams region. As well as a stunningly scenic setting, a short drive from Dartmouth and Conde Nast Traveller award-wining Blackpool Sands, the cottages with a private health club with large indoor heated pool, Klafs sauna and steam rooms, plus a kids soft play area and a sun deck with outdoor whirlpool offering truly beautiful inspiring views over the rolling hills, woodland and meadows of valley setting . There's also an outdoor pool (open in summer), all-weather tennis courts and beautifully hand carved wooden play area. 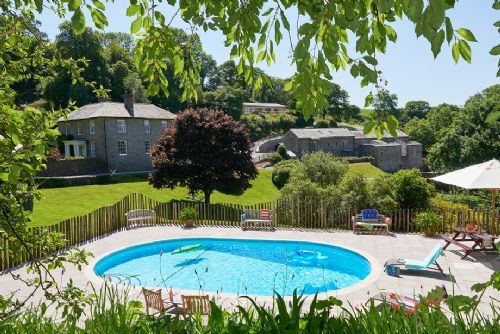 All in all, Gitcombe is just as enchanting for kids as it is for adults - who could fail to have fun playing spot the moo cow across the valley whilst splashing about in the outdoor hot tub! PLEASE NOTE: In Meavy Barn, when a child is sharing a room with an infant, it is necessary to remove the mattress and slats from the second single bed and place the cot within the bed frame, due to space restrictions. 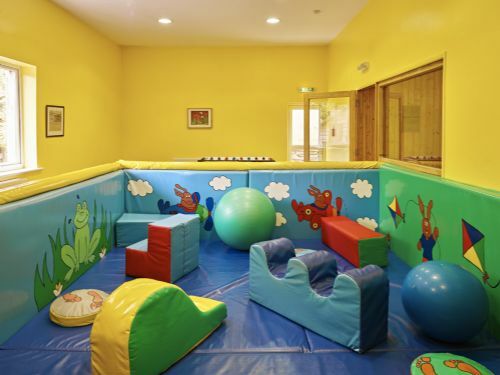 Comfortable, well equipped and great facilities for families. We had a lovely holiday there and would go again. Amazing facilities, beautifully maintained and very welcoming hosts. We are a family of 4 and had a fantastic weekend. The cottage was beautiful and our children loved the pool and facilities. Many thanks. We had a really good time at Gitcombe. Ithe views were wonderful . Our stay was a very welcome relaxing break. The facilities were great for both young and old. Hopefully we will go again. Stayed at Gitcombe with my wife and young son for five nights and had an excellent time. It was our first visit to the area and the surrounding countryside is beautiful. 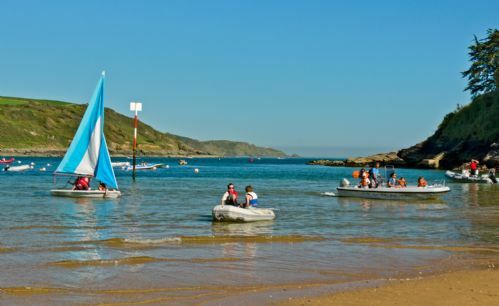 Within a half an hour or so drive there are stunning beaches and interesting places to visit; we enjoyed Pomeroy Castle, Dartmouth and Salcombe in particular. Gitcombe itself offers everything needed for a relaxing break. Meavy barn was well equipped and made it easy to make ourselves at home. The living space and kitchen area are very tasteful and cooking was easy (bear in mind you need to take everything, such as cooking oil, tea, coffee). The double bedroom was nice though we did find the mattress in the twin room wasn't the most comfortable. The bathroom was a little tired looking and the fan was noisy, which was a minor irritation, but overall the barn is really nicely set up and peaceful. The pool, sauna, and outdoor hot tub are fantastic and made our stay all the more enjoyable. Peter greeted us and is a really nice guy. We thoroughly enjoyed the visit and hope to return. Gitcombe House Country Cottages is an oasis of calm, with fantastic facilities that are perfect for families. The grounds, tennis courts, swimming pools and hot tub were a massive hit with the kids. The owner Peter, his father Rodney, and the manager Emma were all super helpful and made the experience a pleasure. Based on the mantra that the best feedback is constructive I'll nitpick: for a "luxury" property I would expect that the American style fridge freezers' ice and cold water functions would work properly :-) We have already booked for next year! Bravo! We had a lovely week at Gitcombe and were blessed by fabulous weather. Our 3 and 6 year olds loved the indoor and outdoor pools, and the array of other activities to do. 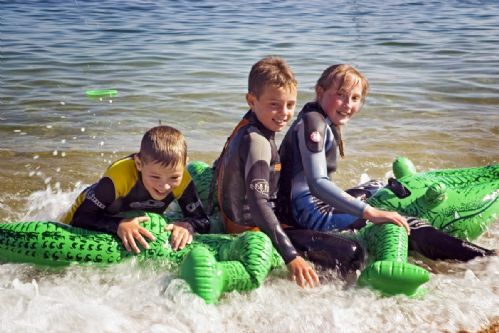 Meavy cottage was perfect for a family of four and very well equipped. Gitcombe is in a good location for exploring both Dartmoor and the South Hams but some days we felt we didn't need to leave at all!